Cost is $20. Girls will receive the book and study guide. 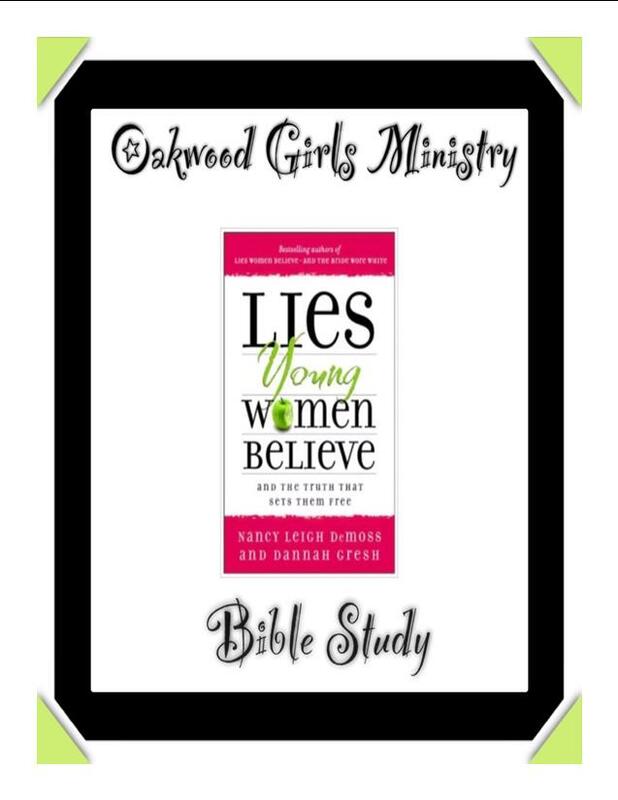 Lies Young Women Believe will give girls the tools they need to identify where their lives and beliefs are off course–the result of buying into Satan’s lies about God, guys, media, and more. Nancy Leigh DeMoss teams up with youth author Dannah Gresh to speak to teenage girls about the top lies they believe. They then equip young women in the skills and the truths of Scripture that overcome those lies. This is a great small group study for teen girls. For more information please contact Crissy Runnells at 830-832-2072 or Crissy_Runnells@yahoo.com or Amy Bowles at Amy@tcmonline.com.